I have been tagged by the lovely Jenny from Mummy Mishaps, the lovely Rhoda from Rhoda Reviews and the lovely Deb from Mummy Stuff in a “who do you share your birthday with style meme” originally started by Kate from the Five F’s to commemorate her special birthday. She want to get as many tagged bloggers to link up so that she ends up with a person who was born on all 366 days of this year. If you click on the badge above it will take you to Kate’s page where she will explain all. I don’t know anything about who is born of my birthday so this could be interesting. 1.Naomi Watts – she is an actress and stared in the Ring and the Ring 2. 2. Dita Von Teese – a famous burlesque dancer and was married to Marilyn Manson. 3. Hilary Duff – she is an actress who first got fame in Lizzie McGuire. She stars in one of my favourite films A Cinderella Story, she has also been in one of my favourite tv shows Gossip Girl. She apparently writes books too. *Is anyone listed as being born on the same day and the same year as you (i.e. 1974)? If so, what do you know about them? The only one I can find is Se Ri Pak, he’s a South Korean golfer, now that’s not exciting, is it? 1. 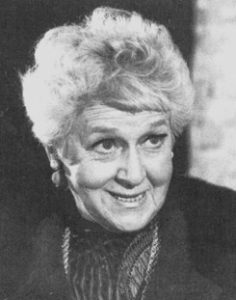 Mabel Albertson – she was an actress, who played Darrin’s mother on Bewitched. 2. Pope John Paul I – The Catholic Pope who died 33 days after being appointed of a heart attack. 3. Althea Gibson – The first black woman to win Wimbledon. 1928 – Alexander Fleming Discovers Penicillin.